A short stint in hospital for orthopaedic surgery and an on-going long stint of re-hab has somewhat curbed my writing of late; certainly medication does little to enhance concentration even though I can now write quite lucidly about coming off two weeks' morphine derivatives 'cold turkey'. However, research experiences apart, I've not been keeping an eye on my own ball but enjoying an extended run of reading and reviewing other people's novellas and novels. "Her reputation as prolific East Yorkshire writer put Linda Acaster’s ‘Bull at the Gate’ (2014) onto my own ‘must-read’ list a while ago now. 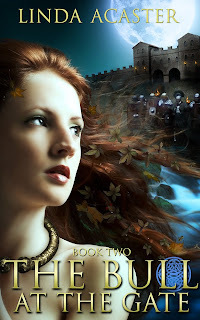 Half-way point in her boldly-conceived ‘Torc of Moonlight’ trilogy, this book’s immediate appeal is its firm location within the English city of York (Roman ‘Eboracvm’) - why I started her cycle here. And if Acaster’s title puns lightly on the taurean emblem adopted by her location’s one-time garrison, the legendary Sixth Victorious Legion, she also hints strongly what crossings and contrasts might still exist today. ‘Gates’ between then and now; between a modern tourist honeypot and the foremost northern fortress of a long-gone empire. 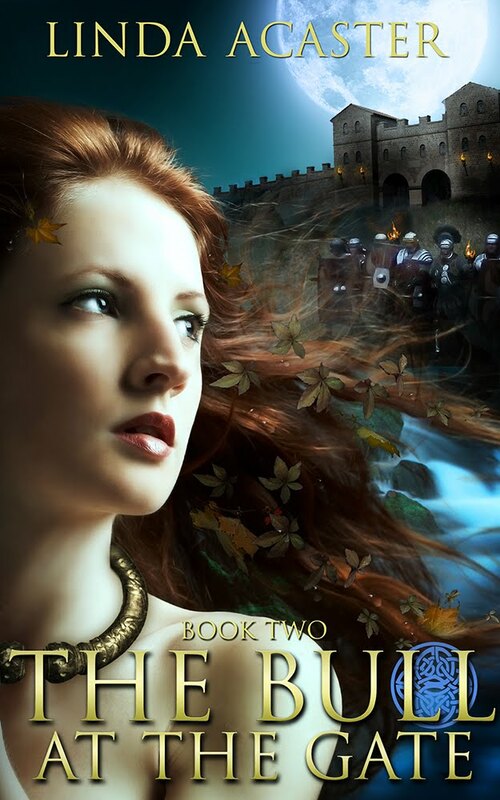 A city where life was short and the gods unpredictable; need appeasing with sacrifice – ancient rituals of Mithras and Luna with which her twin-tracked story starts, ordeals by fire and water. "The highly-strung modern protagonist finding himself confronting such ethereal crossings is once again ‘Nick’ - now moved to York to attempt a fresh start. Traumatised by the watery end of a former girlfriend in the first book of this trilogy, and haunted by her still, his days are spent in low-grade clerical work, inputting archaeological data and draining the office coffee-machine. His nights are different by any standard - spent in fear, love and loathing; waiting with camera and tarpaulin for a warning water-sprite who appears like a cyclone out of the bed itself, in his riverside bedsit. Episodes amongst the most original, well-described, and astonishing in the book; although explaining the damp stains and damage from these night-time emanations to a twitching landlady, or the woman in the local launderette, soon become the least of Nick’s troubles; as yet another girl in the archaeology department goes missing and even the constabulary sit up and take notice…..
"Today’s York and the powerful Roman city which lies beneath are as much characters in the tale as Nick and his shape-shifting opponents; together enabling a journey of discovery that takes him street-by-street, building-by-building; hunting on instinct for water and tunnels. Gone in hot pursuit of two lost girls and the cold spirit which detains them, down there below the street-line on a mission into the past. If Acaster’s style is sometimes complex along the way, her concepts unusual (sometimes cryptic, demanding concentration) or else what (for me, personally) most resonated here were a heroine with auburn hair, echoes in modern coinage of a Roman ‘Britannia’, or vignettes set in the Yorkshire Museum; any other reader knowing the city of York as well will be equally drawn–in by that ongoing-sense of mystery which trails Nick’s ‘A-Z’ quest through the busy streets and pages of this book. Tantalising tale of the paranormal as much as historical novel, ‘Bull at the Gate’ is sure to immerse a wide tranche of readers, willing to retrace his watery footsteps on a thrilling journey I’d recommend to any of them." For a writer, there's a time when reading becomes a displacement activity. It's time, methinks, to pull my finger out and get on with the final novel in the series, Pilgrims of the Pool! #History - Does It Matter? If your city had a historic site dating back to, and before, the English Civil War, would you be agreeable to having it filled with rubble and paved over? This is what is being contemplated in Hull, the city of my birth, a mere 20 miles from where I now reside. 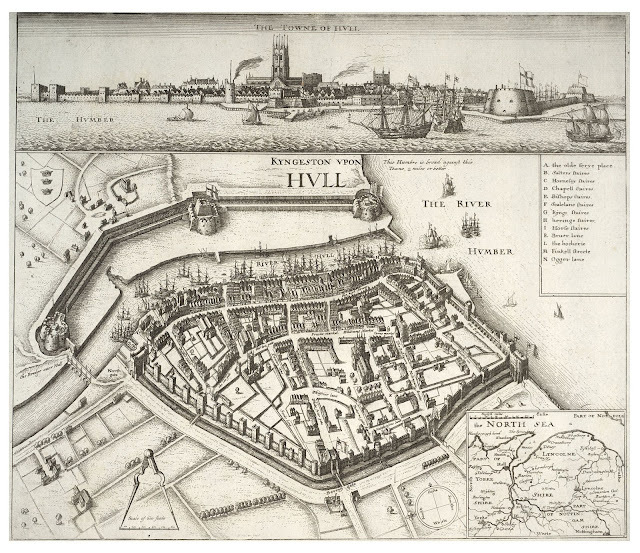 In 1642 Beverley Gate, in the then walled town of Kingston-upon-Hull, was closed to King Charles I by local dignitaries who refused him access to the city’s considerable arsenal. The action is seen as one of the catalysts starting the English Civil War – Parliamentarians (Roundheads) v Royalists (Cavaliers) – when, in a parody of Magna Carta some 400 years before, an attempt was made to curb what was seen as the excessive power of the King. For history buffs more information can be found HERE. My point is, do you have to be a history buff to care? As I type, the country is commemorating the 75th anniversary of ‘The Battle of Britain’ when in 1940 young pilots from various Allied countries fought in the skies over southern Britain desperate to halt Nazi Germany’s invasion of Europe continuing into the UK. Television channels are awash with programmes, bookshops with new titles, and newspapers with articles and interviews. There are fly-pasts by the Battle of Britain Memorial Flight, and commemorative Services of Remembrance in major, and minor, churches being held up and down the land. And yet, also as I type, members of ISIL are systematically destroying ancient historical sites and artefacts in parts of the Middle East in an attempt to rewrite history and redesign culture in its own image. It’s not the first totalitarian movement to do so, of course, and it certainly won’t be the last. Those who have followed this blog over recent weeks may recall my posts on the Neolithic sites of the Orkney Islands: the Ring of Brodgar, Stones of Stenness, and the surprisingly comfortable design of the houses of Skara Brae. All have benefited from advances in understanding of the period, but none of it would have been possible had they been flattened, filled in, or wiped from history. 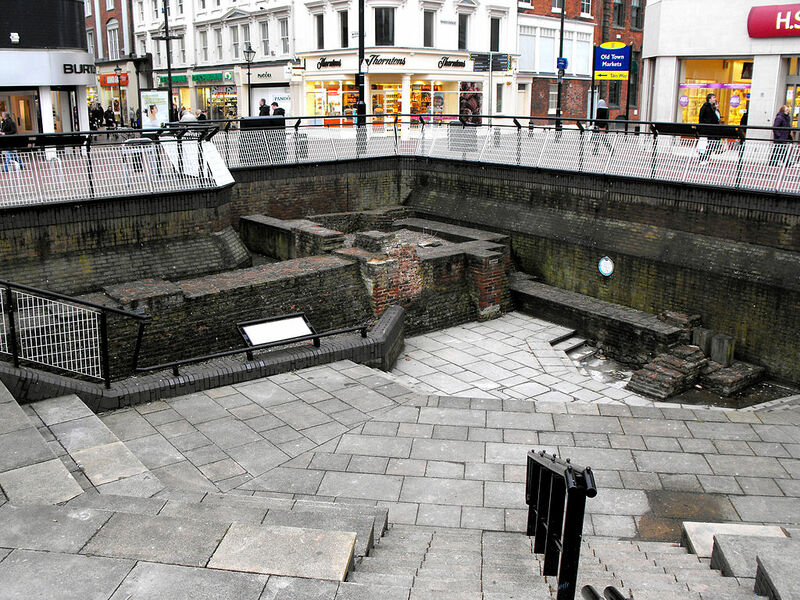 During the late 1980s archaeologists uncovered the foundations of Beverley Gate for the city of Hull. If the city has so little care for its heritage that it in-fills the site, who will have the will, or the financial wherewithal, to re-uncover it for future generations? And what will be left to re-uncover? What is surprising, considering its current stance, Hull does have an extremely good Heritage Trail Guide, which includes pictures of both the old Beverley Gate and the 1640 map of the walled town. It’s available as a pdf download HERE.